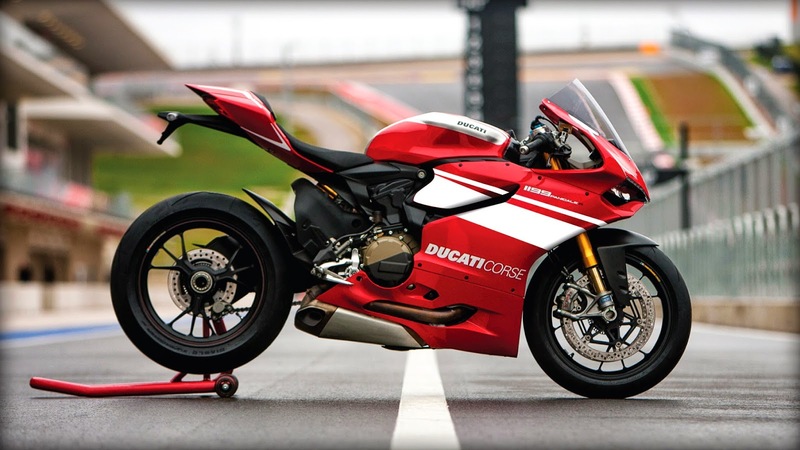 TekSea: Ducati Superleggera: The Best Superbike Of All? Time and again this Italian company has given petrol heads around the world a reason to be astounded, and this time again they have done it with a little bit of drama. The 1199 cc Superleggera is the perfect example of every boy’s bedroom wall poster. It has been made of materials which we only have studied about in chemistry and never seen in a street legal motorbike, and definitely not in India. The bike was designed by an artist and it accelerates faster than a bullet leaving a Walther PPK. It has a power to weight ratio of that would shy the the Koenigsseg one:1. As a matter of fact, this bike is so over the top that it isn’t even eligible for World Superbike competition. First of all, with only 500 examples being produced (all spoken for), it doesn’t meet the homologation numbers required by the rules. Furthermore, at a claimed 366 pounds sans fuel (but with all street equipment in place, including mirrors, signals, and lights), it weighs only a pound more than the WSBK minimum. In other words, in race trim it would need ballast to compete! But if the Superleggera isn’t intended as the basis for a competition machine, what’s the point? Like the 2007 Desmosedici, the concept was to showcase Ducati’s technical capabilities and answer those “what if” questions by pushing the envelope. On paper, the Superleggera’s numbers are impressive. With its 4.5-gallon fuel tank topped off, the Superleggera, says Ducati, weighs only 393 pounds (30 less than the Panigale R). So, how do you skim 30 pounds off of one of the lightest production liter-plus sportbikes ever? Ducati’s team of engineers were given free reign with exotic materials. The Superleggera has a magnesium monocoque frame, a carbon-fiber subframe and bodywork, plus a lithium-ion battery, forged magnesium wheels, and numerous titanium fasteners. Even the Öhlins suspension is ultra light, featuring a FL916 fork with machined billet-aluminum bottoms and a TTX36 shock with a titanium spring. Not only does the Superquadro engine weigh less than the R’s mill, but some of its weight-saving components allow it to rev to 12,500 rpm (a 1000-rpm bump) and increase power across the board. All four valves (intake and exhaust) in each head are now titanium, as are the Pankl connecting rods. The tungsten-counterweighted crankshaft, which weighs one pound less than stock, works with lighter two-ring racing pistons and a compression ratio that has jumped from 12.5:1 to 13.2:1. The engineers at Ducati have mastered the art of combining elements which when put together will create a beast which will make u want it so bad that you will curse your stars for not being able to get one of those. The Monoscocca frame, already enormously innovative in its multifunctional minimalism, is transformed into a jewel by being sand-cast in magnesium alloy. Compact and rigid with excellent vibration absorption, the frame forms the ultimate lightweight backbone (-1.1Kg vs. 1199 Panigale R) to support 1199 Superleggera's incredible performance. To absolutely maximize its engine output, 1199 Superleggera uses pistons normally found in World Superbikes. Made of an incredibly light aluminum alloy (-97g each vs. 1199 Panigale R), with a short skirt and two-ring design for minimal friction, these Superbike pistons harness the furious energy of combustion and translate it into tyre-smoking power. 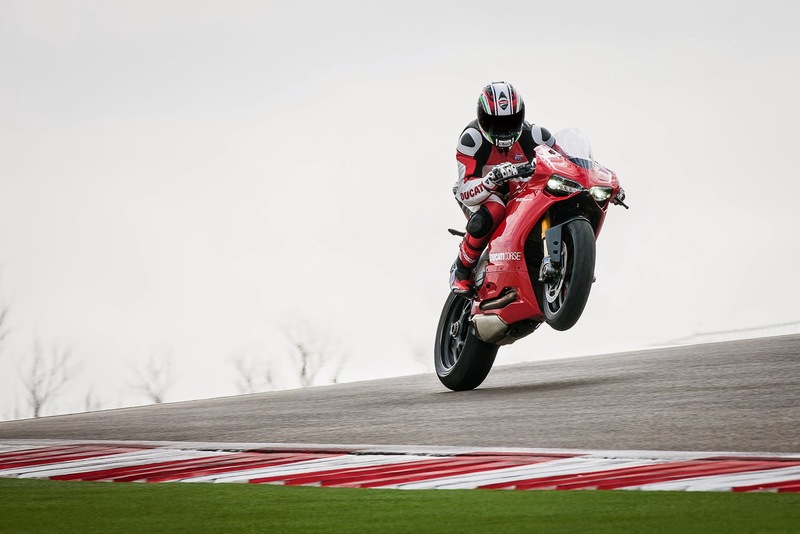 At the 1199 Superleggera's very heart spins a forged steel crankshaft of exceeding strength, precision balanced with tungsten inserts and lightened to an incredible degree (-396g vs. 1199 Panigale R), beyond in fact what was previously achieved for the Superbike 1199RS. An engineering statement of ultimate performance, this super-crankshaft gives 1199 Superleggera a free-revving character unmatched outside of a premier-class professional race bike. To be fast is the primary goal of any performance motorcycle. Perhaps the most essential component of speed, acceleration gives a bike its visceral thrill on the street and enables scorching lap times on the track. In a strictly technical sense, the acceleration of a motorcycle is a function of force and mass; to increase it, one must either increase the bike’s power (force), or decrease its weight (mass). Maximum power begins with an “R” spec Superquadro engine, already the world’s most advanced twin-cylinder. Titanium exhaust valves are added to its titanium intake valves, all of which are precision-actuated Desmodromically using a dedicated high-performance camshaft. Low friction 2-ring Superbike pistons are fitted, and the combustion chamber’s “squish” area is modified, raising compression to 13.2:1. The power of combustion is transmitted by titanium rods to an ultra-strong, ultra-lightweight crankshaft, perfectly balanced with exotic tungsten counterweights; while spent gases exit through a high-flow titanium exhaust. The combined result is a stratospheric 200+ hp - the most powerful street engine Ducati has ever made. Extreme light weight leverages this power to achieve its highest effect. Every component subsequently added is similarly engineered to be as light as possible, from the readily visible machined-bottom fork and full carbon fibre fairings, to smaller details like titanium and Ergal fasteners, a titanium shock spring, and a lithium-ion battery. Even the footpegs and radiator cap are lightweight, machined pieces unique to the bike. Perfect motorcycle handling means many things – ease in corner entry, agility in changing lines, stability when leaned over, and the ability to hold a selected trajectory, among others. Balancing these qualities is a complex blend of art and science in which geometry, weight distribution, and the properties of selected materials all play large parts. As in other components of motorcycle performance, mass shows its importance; few goals enable the achievement of a superbly handling motorcycle like weight reduction. Simply put, brakes are a motorcycle’s most powerful components. An easier aspect to overlook than acceleration or handling, braking is nonetheless of the same - or higher - importance to top-level motorcycle performance. Ideal brakes provide the force to lift a bike’s rear tyre off the ground from triple-digit speeds, the feel to control it precisely, and the consistency to repeat it perfectly, again and again. 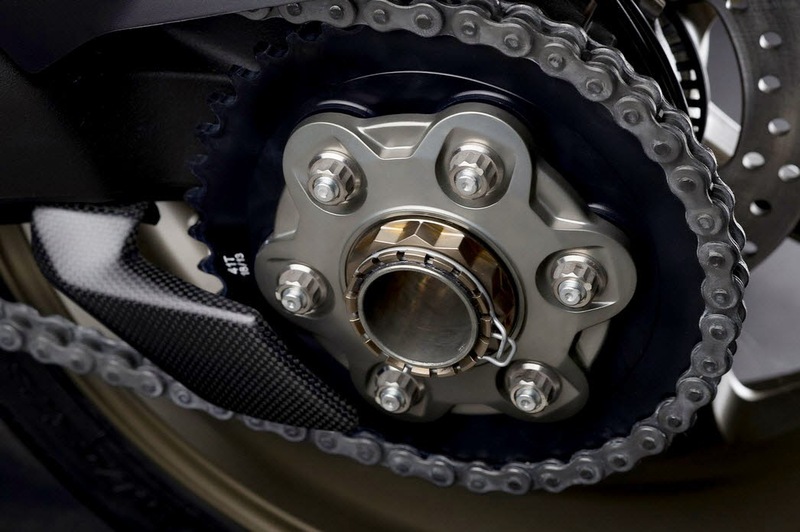 A bike as blindingly fast as 1199 Superleggera requires the best brakes available, so Ducati’s engineers equipped it with Brembo M50 Monobloc front callipers, each milled from a single piece of aluminium. Controlling these is Brembo’s exclusive new MCS radial master cylinder, which offers the ability to adjust its ratio for the perfect balance of power and feeling. As a pure racing touch, a remote adjuster lets the rider set brake lever distance on-the-fly to compensate for pad wear. The 1199 Superleggera is the most exclusive and extreme Ducati ever made. An unprecedented 200+ horsepower in homologated configuration (205+ with included racing exhaust) and a 166Kg weight ready-to-ride without gas (around the same as a Superbike in full racing trim) give it the best, by far, power to weight ratio of any homologated motorcycle. Accordingly, Ducati’s test rider Alessandro Valia has obtained with the 1199 Superleggera the best time ever for a street Ducati around the Tuscan Mugello circuit, an incredible 1’54”9. 3-spoke magnesium alloy 3.50" x 17"
Fully adjustable single Öhlins TTX36 shock with titanium spring, with linkage adjustable between progressive/flat. Aluminium single-sided swingarm. Adjustable swingarm pivot. 3-spoke magnesium alloy 6.00" x 17"